On this edition of the NOLADrinks Show with Bryan Dias, we talk with Adrienne Miller with whom I am teaming up to present a regular feature exploring food in and around New Orleans and beyond called “The Two Dummies Food Tour.” We also welcome Trevor Schneider of Reyka Vodka, discuss some news and thoughts on beer, and hit a little NOLA restaurant business news. 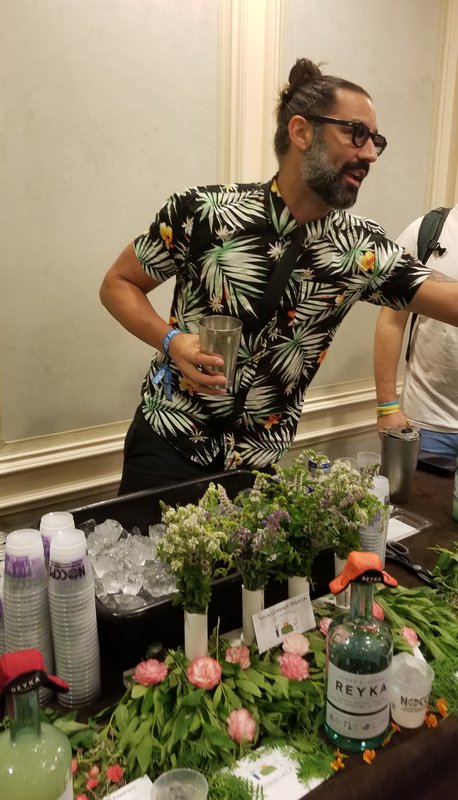 Pictured above from left – Bryan Dias of NOLADrinks and Adrienne Miller. We start things off with a few programming notes and what’s coming up on today’s show. We also talk about next week’s show a bit and how part of it will focus on local efforts here in New Orleans to provide hurricane relief. Next up, we run our last interview from this summer’s Tales of the Cocktail event here in town. We chat with Trevor Schneider (pictured at left), brand ambassador for Reyka Vodka. We chat at the French Quarter’s Sylvain (as we did with many of our previous interviews during Tales – thanks to them for hosting us!) Trevor and I discuss this interesting family-owned distillery that produces vodka in Iceland. We discuss some of the unique aspects of how it’s made as well as chatting about its flavor profile. It’s a fun and lively chat! From there, we talk about some news in the restaurant business here in New Orleans including a report on the recent split between Alon Shaya and John Besh. We also mention the upcoming opening of a new Lower Garden District restaurant being started by Coquette owners, Kristen Essig and John Stoltzfus. We then chat about some news and ideas from the beer industry. We discuss the closure of Arabi’s 40 Arpent Brewery and the reported cause behind it. We also talk about the growing number of breweries in the region and some potential implications of that growth including how it is, likely, harder to get off the ground. We move on talk about how the world’s large beer producers are seeking to dominate the market, snap up craft breweries (and, perhaps, make you think you’re “drinking craft” when you’re really not), and the potential dynamic of these mega-breweries not only holding a massive global market share, but also controlling the supply of beers ingredients. 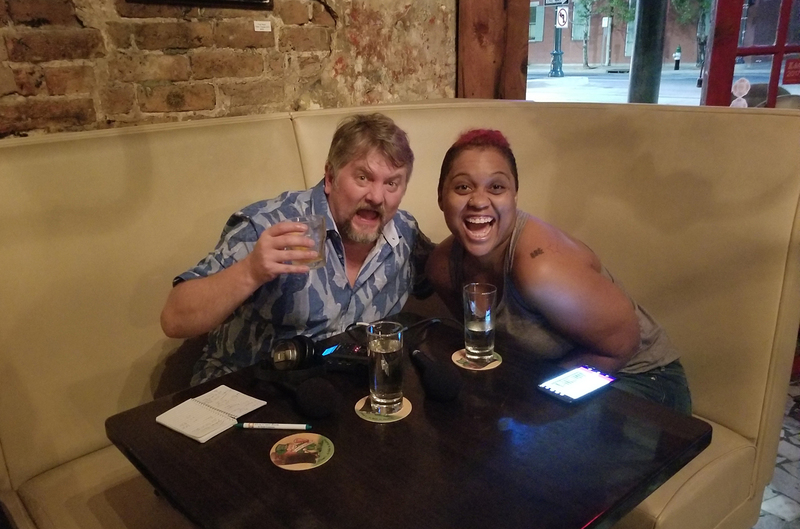 Good friend of the show Adrienne Miller then joins us to talk about our collaboration on an upcoming, semi-regular segment called, “The Two Dummies Food Tour.” She and I will explore the food scene in and around New Orleans and, eventually, beyond. The idea is to take a look at some things you might not expect around here. Of course, we’ll eat, drink, and laugh our way through the whole thing! We close things out talking about some events around town. This includes this weekend’s Fried Chicken Festival taking place at Woldenberg Park and an ongoing exhibit at the Historic New Orleans Collection featuring the historic and legendary (and now gone) Storyville neighborhood.